Home / Entertainment News, Photos / Revolution looms as new banners painting UHURU and RUTO as the faces of corruption hanged in public (PHOTOs). 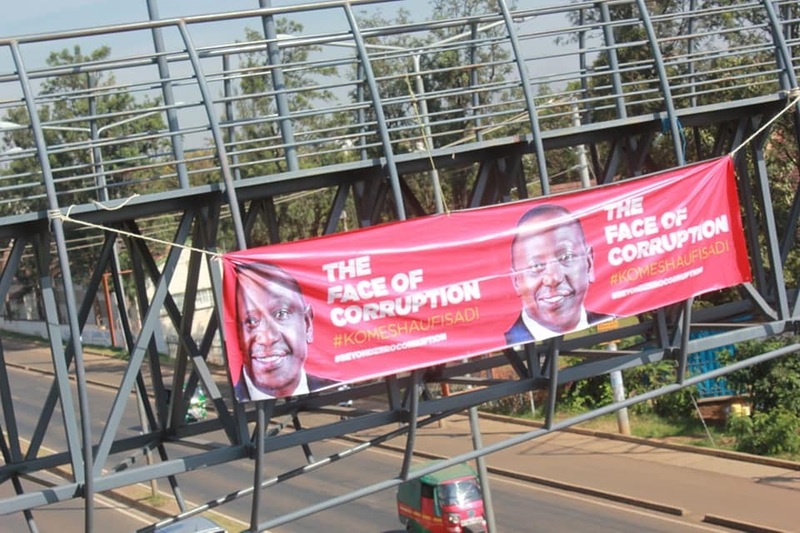 Revolution looms as new banners painting UHURU and RUTO as the faces of corruption hanged in public (PHOTOs). 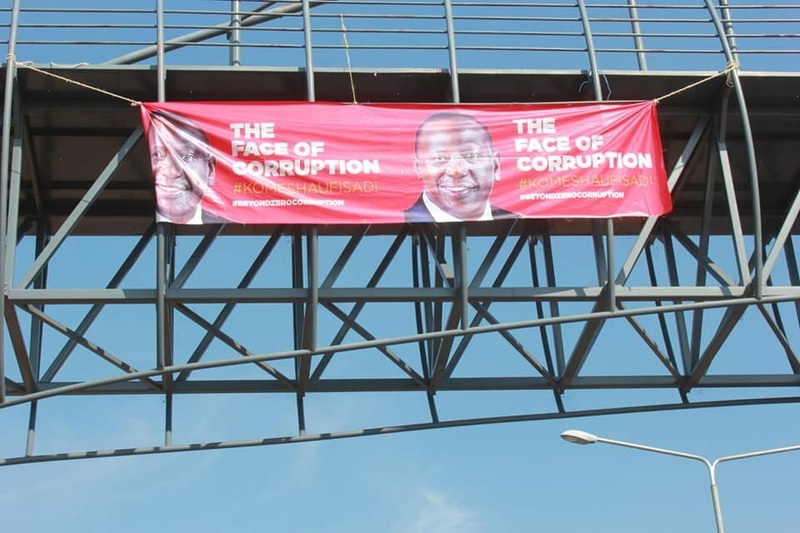 Tuesday, April 16, 2019-New banners that paint President Uhuru Kenyatta and his Deputy William Ruto as the faces of corruption have been hanged in public. 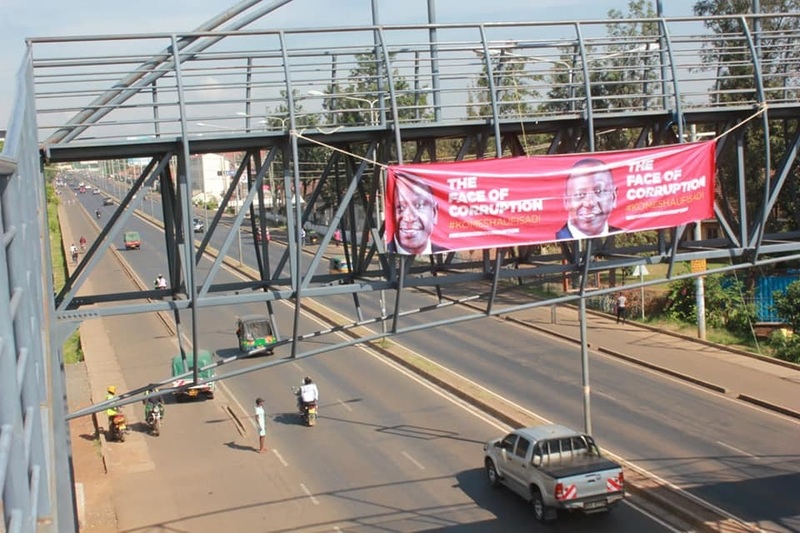 The banners were hanged strategically in one of the major roads in Nairobi. Kenyans are tired of corruption that is nearly crippling the economy and this is a clear sign to President Uhuru Kenyatta and his Deputy William Ruto that a revolution is looming.